If you don’t believe that diet significantly alters you in a significant way at the cellular level, just look at the honeybee. Honeybees are genetic clones of each other. Identical DNA. Yet there are worker bees (sterile, small, estimated lifespan of just a few weeks) and a queen bee (fertile, giant, lifespan up to three years, can lay up to two thousand eggs a day). What makes a queen bee different? Royal jelly. Like bee ambrosia. 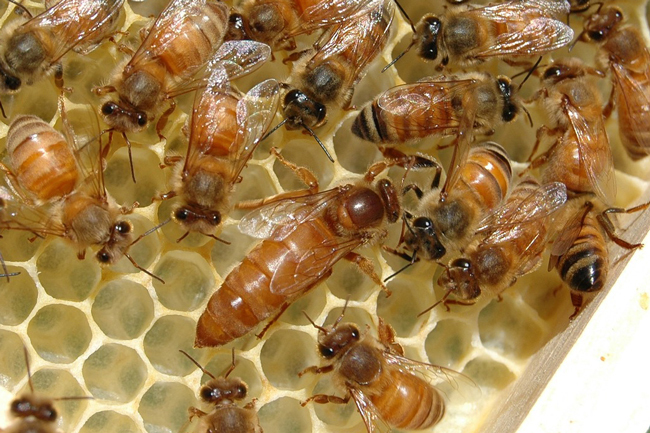 When the queen bee is sick or dying, the worker bees in the “nursery” feed a few larvae large amounts of a special substance called royal jelly. There is an enzymatic protein in the royal jelly called royalactin that appears to trigger a cascade of events resulting in decreased DNA methylation. The larvae with decreased DNA methylation have their “queen” genes turned on, and they develop into what appear to be completely phenotypically different types of bees. Same DNA. Different gene expression based on DIET ALONE. This is called epigenetics and is omnipresent in all organisms. It is the variable expression of genes based on a variety of external factors. We have control over what we eat. Unlike the bee larvae, we can choose for ourselves which diet to feed our bodies in order to maximize our own health and longevity. It turns out that the same diet that is “heart healthy” is also “brain healthy” and “immune function healthy” and “GI system healthy” and “overall-health-for-human-beings healthy.” It’s a whole foods, plant-based diet. Study after study shows the benefits of this diet. The next time you’re at the supermarket, try picking up some extra produce. Try some organic blueberries, raspberries or strawberries. Pick up some dry roasted almonds or walnuts. How about some fresh broccoli? Eat those foods at your next meal to crowd out the processed or refined food that may be present on your plate. You’ll still feel full at the end of the meal, but you’ll have had a much more “royal” diet. Doesn’t your body deserve the best?